The average person has 90 apps installed on their phone1. Make it 91 and download Amex GBT Mobile. Why, you ask? 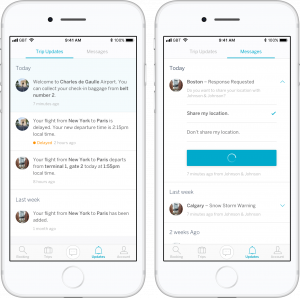 Because our mobile app helps business travelers easily manage every aspect of their trip. Making business trips about business again. 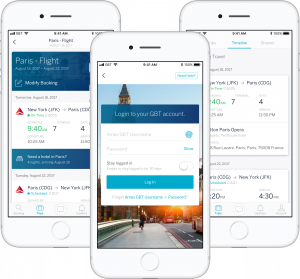 Air, hotel, car, rail, and ground transportation bookings—all viewable in one united itinerary that automatically updates. When disruptions happen, know where your travelers are with Expert Care and help them get on their way with Proactive Traveler Care. 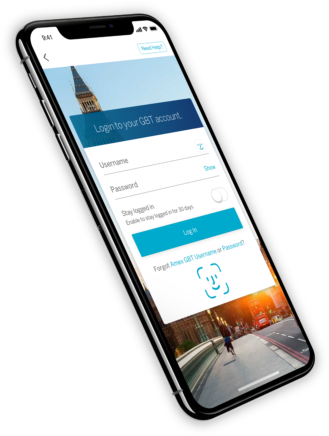 Bring together travelers and travel counselors on the Amex GBT Mobile app and Connect PortalTM with our new chat feature. Global Business Travel customers who have enrolled.